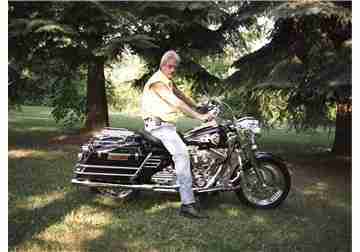 Jim Owens, from Caro, Michigan, is the designer and owner of Owens Options. 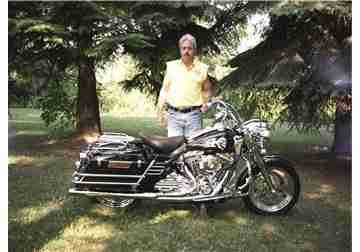 Jim's first Harley Davidson was a 1995 FLSTF "Fat Boy". 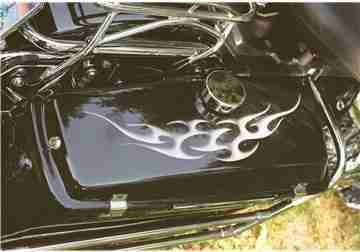 Shortly there after he purchased his first FLHPI (Road King Police) and has been purchasing them ever since. 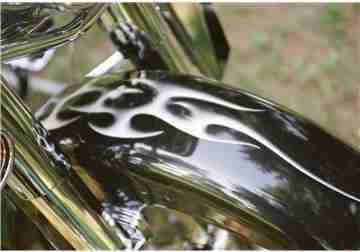 He designed the puck covers and saddlebag inserts for his own bike to give it a more finished look. They generated so much interest that he decided to market them, leading to the founding of Owens Options. 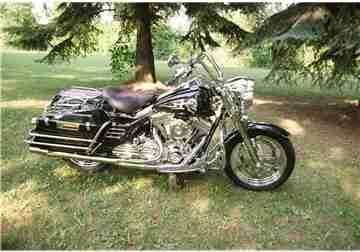 He has a son, Eric, who is picking up dad's love for the machine. He rides his own Honda dirt bike, when not riding as a passenger with dad. One of Jim and Eric's greatest thrills was riding over the Mackinaw Bridge with dad...trying not to look down! 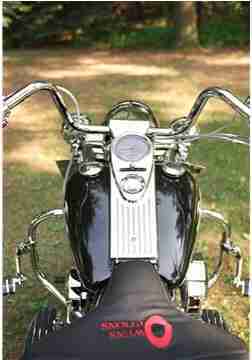 The following are photos of Jim's latest bike: a 2002 FLHPI (Road King Police) Harley Davidson. 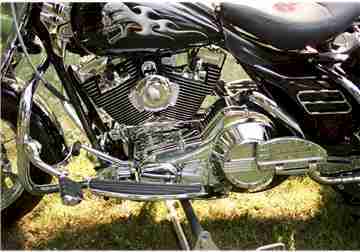 He purchased it at Cummings Harley Davidson in Burton, Michigan. 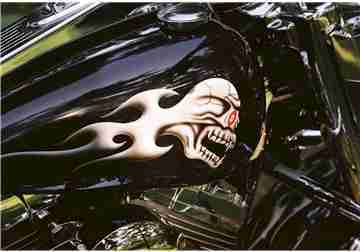 The custom paint is done by Paul Sebald of Frankenmuth, Michigan. 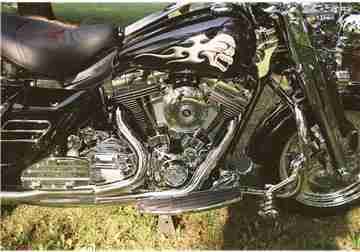 The bike has a 1550 Screamin' Eagle motor, with custom exhaust by Rich Thunderheaders. 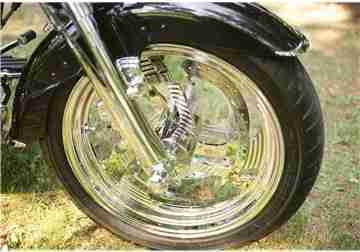 The wheels, rotors, and calipers were done by Performance Machine. 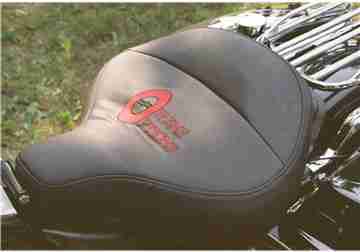 The custom seat was made by Extreme Motorcycle Seats of Phoenix, Arizona.